In a game of whack-a-mole, a Taliban app banned by Google became available on Amazon. 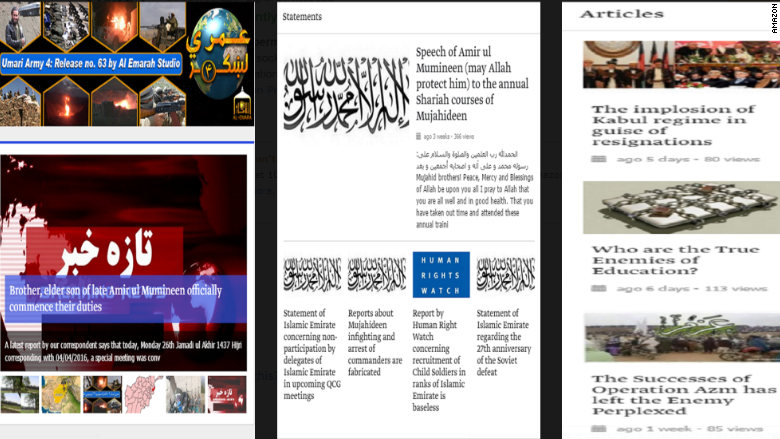 The app, called "Voice of Jihad," lets people keep up with the latest Taliban news, videos and updates. Amazon eventually removed the app Thursday. "All apps in the Amazon Appstore must adhere to our content guidelines and the app in question is no longer available from our store," Amazon said in a statement. The version on Amazon (AMZN) was in English. On Monday, Google removed a Pashto version of the app from its Play store. Amazon's app store provides an alternate way for people to download apps for Android smartphones. Though most of the apps on Google Play and the Amazon app store are the same, Amazon offers a small handful of apps that have been banned by Google (GOOGL). 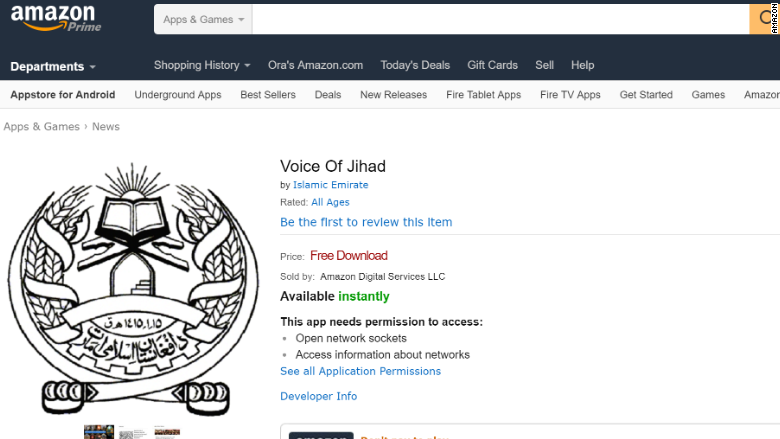 In case Amazon (AMZN) removes "Voice of Jihad," the Taliban released the app file on Twitter. That will allow any Android phone owner to simply load it directly. The Taliban app was first discovered on Friday by SITE Intel Group, a website devoted to tracking jihadists online. The propaganda product was removed from Google's app store a short time later.